This trekking package is designed for real trekker or who has experienced on mountain climbing/trekking. The participants must be at good level of fitness, this package is not recommended for beginners. 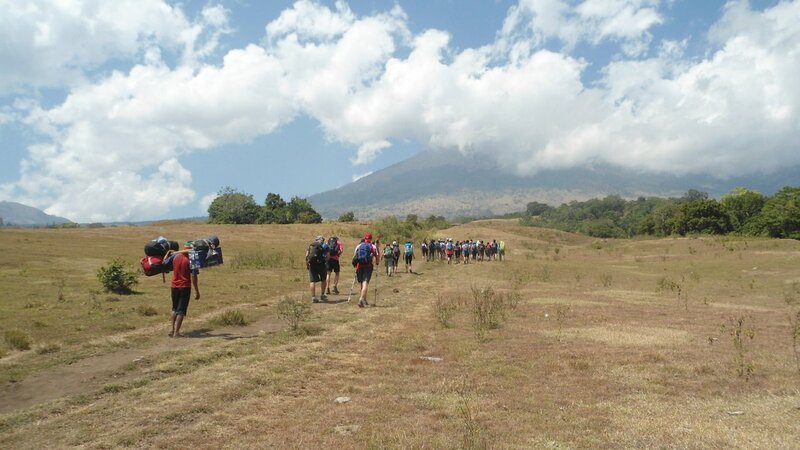 The trekking start from Sembalun North of Rinjani end in Senaru south of Rinjani. This take 4 days 3 nights trekking trip. 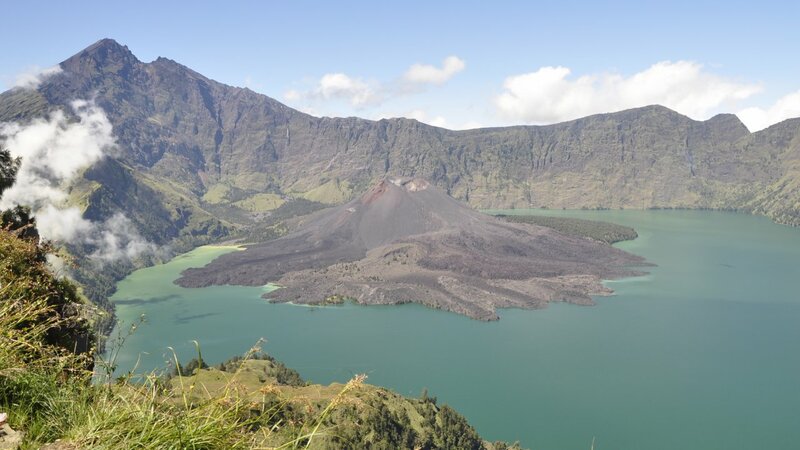 Discover Rinjani Summit, Wandering Full day at Segara Anak Crater lake, amazing panorama on ascent and decent the Rinjani trail. 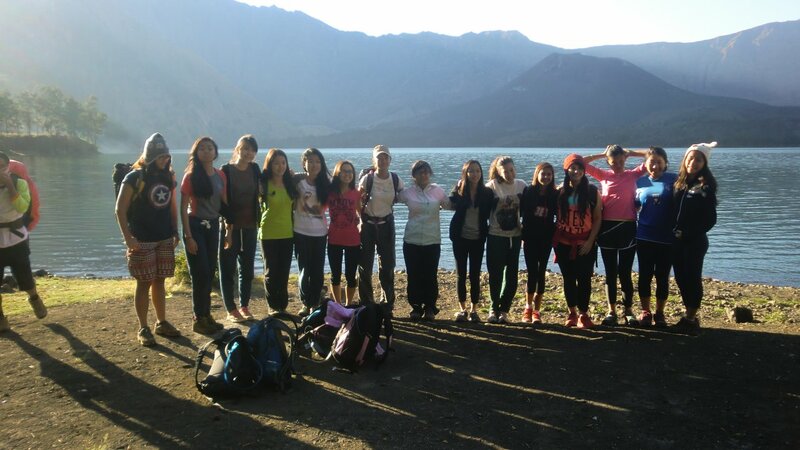 Our guide will pick you up at hotel lobby at 06.00 AM then transfer you to Sembalun. Register at the Rinjani Information Center (RIC) in Sembalun Lawang, meet your guide and arrange National Park entry tickets. 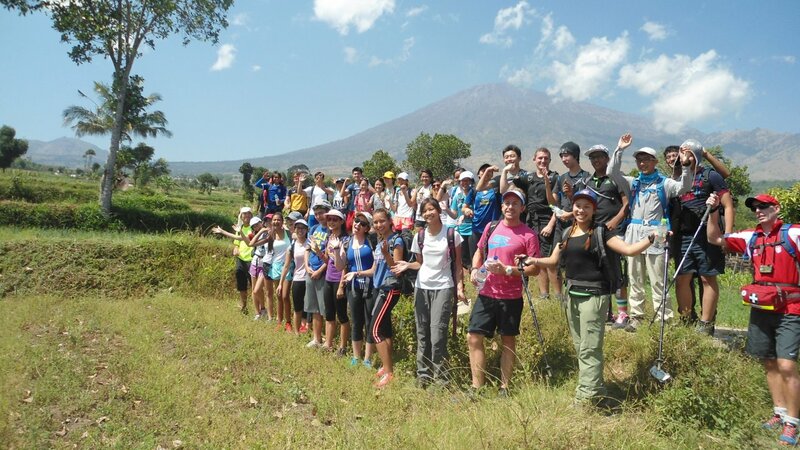 Your guide will give you briefing for the route details, about what local culture traditions and what you might to go for and see during the trekking, and will be explained about rubbish management and safety procedures. 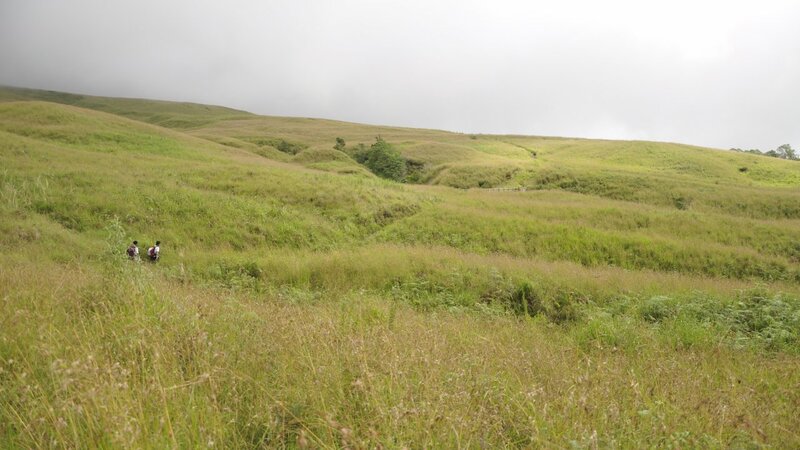 The trek starts from Sembalun Lawang with the gentle ascent walking through open grassland used as cattle grazing by local people. Resting at Pos 1 Pemantauan (1,300), after around three hours from Sembalun we reach Pos 2 Tengengean (1,500 m), enjoy the beautiful views of Mt. 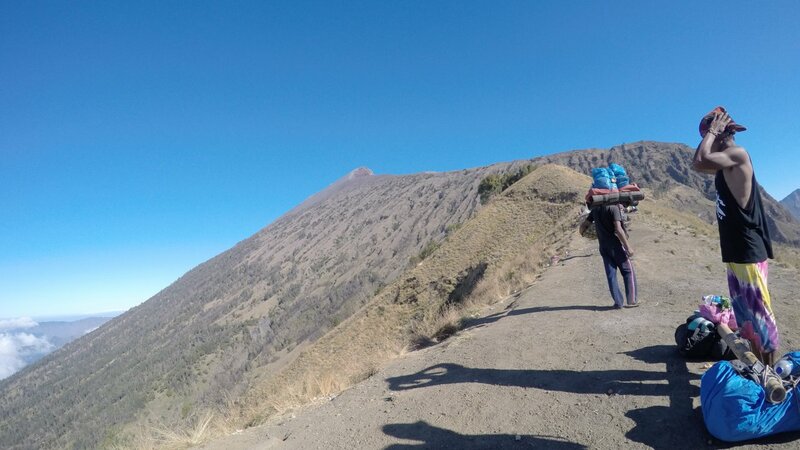 Rinjani summit (3,726 m). After another hours ascent to Pos 3 Pada Balong (1,800 m), we start the step 3,5 climb amidst the pine-like Casuarinas species locally known as Cemara, perhaps seeing evidence of wild pigs and the long-tailed grey macaque monkeys to the camp site at Plawangan II Sembalun crater rim (2,700m). 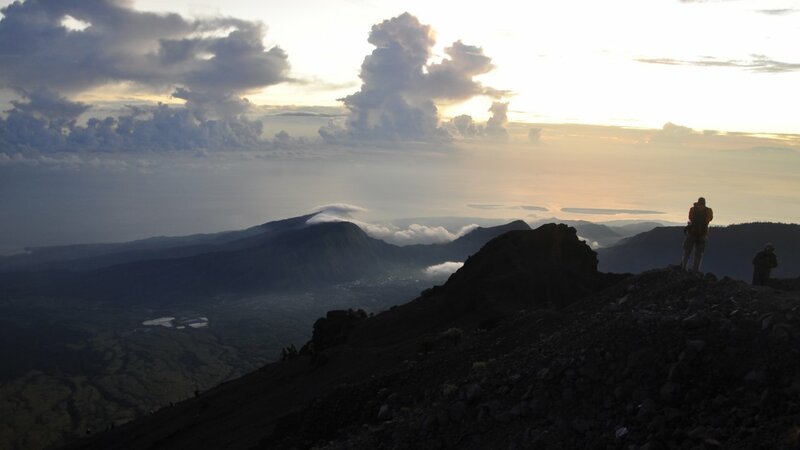 At the late 03:00 AM the summit climb will start and is needed for the hard three-hours climb to the Rinjani summit (3,726 m). 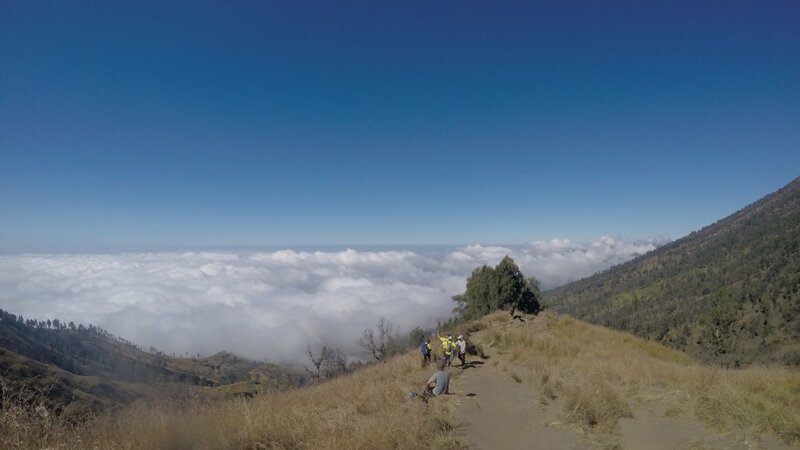 Once there, enjoy proud feeling of satisfaction and prise the amazing majestic view of Rinjani and Lombok island from the top of second highest mountain in Indonesia, feel the sensation of sunrise view across the Wallace Line to Bali, Mt. Agung and Sumbawa. 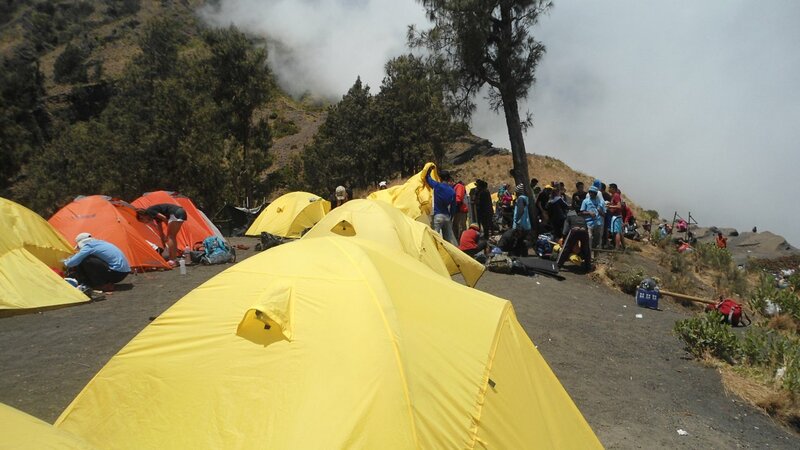 After enjoy the spectacular views then down to the campsite, return down the ridge passing numerous edelweiss plants, Bunga Abadi-the endless flower, to the crater rim camp for a well-served breakfast. After breakfast, proceed to go down to the lake. It takes two to three hours down the steep trail to the crater lake. Enjoy the lake, swimming or exploring the caves and pilgrimage to hot springs that believed to have healing powers by local, while our porters preparing for your lunch. 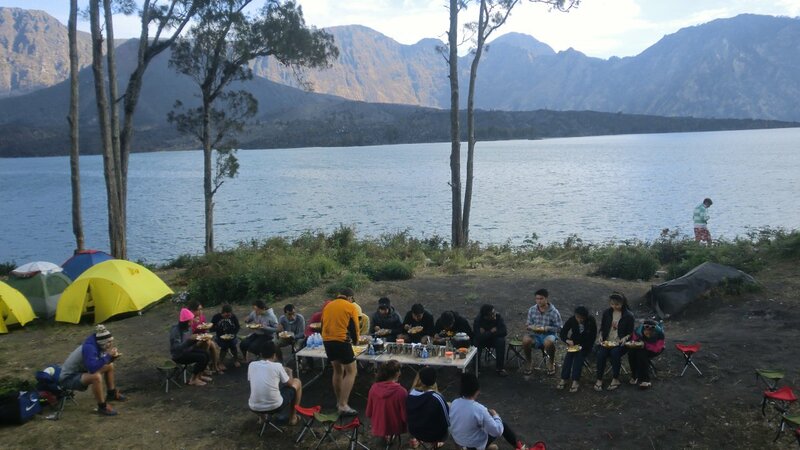 After lunch break, leave the lake and climb for two and half hours up to Plawangan 1 senaru Crater Rim (2,461 m) for the day 2’s camp. Dinner and overnight at crater rim if weather permitted or another hour down to Cemara Lima. After breakfast, descend down the long trail to Senaru village (601 m), through thick tropical forests rich in flora, bird life and a variety of butterflies. You might see orchid and if lucky, the rare black ebony leaf monkey, known locally as lutung. Rest stop are taken along the way, with village stories and local legends related by your guide. Features include the Batu Penyesalan Stone and Banyan Tree Bunut Ngengkang that looks like someone standing with their legs apart. 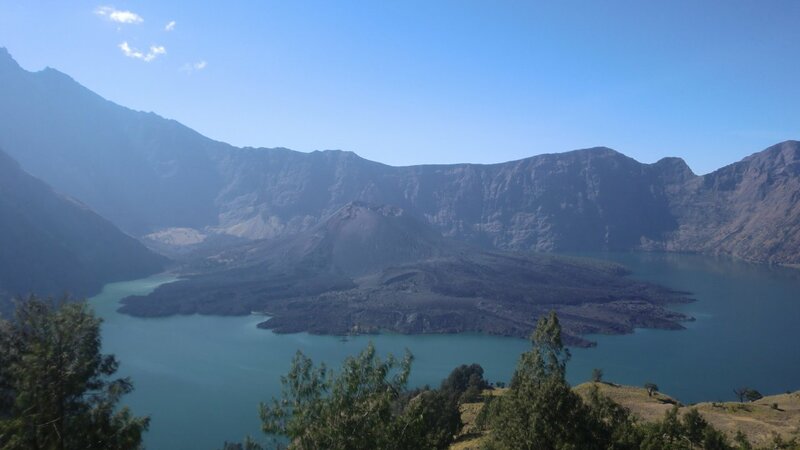 After seven hours walk from the rim, (or five hours from Pos 3 Mondokon Lolak), the trek ends at Rinjani Trek Center at the road head in Senaru, where the car is waiting to transfer you to the airport, Senggigi or Gili Island harbor. It is well worth getting up early to enjoy the sunrise over the Mt. 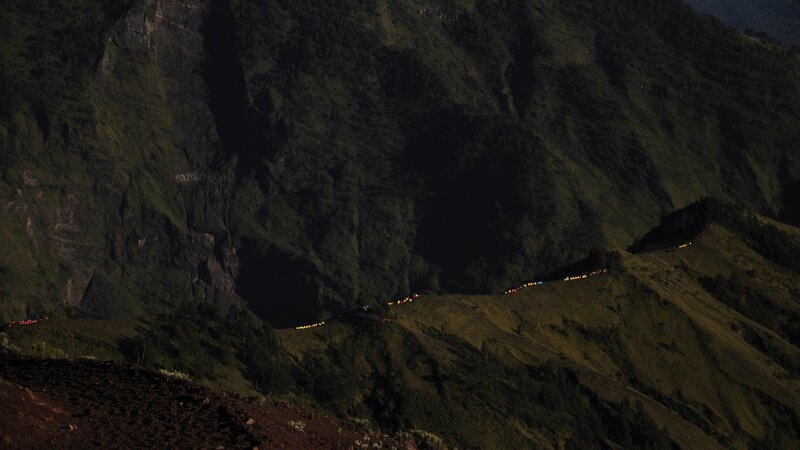 Rinjani and the crater rim before breakfast and the last day of our journey. It takes about 5-6 hrs trekking to reach Senaru, Enjoy walking under the beautiful jungle canopy, home to the rare black ebony leaf monkey, known locally as Lutung . Rest stops at Pos 111 (2000m) and Pos11 (1500mt) is welcome relief for tired feet before the hard work winds down and you enter farm land on the outskirts of town in the early afternoon. Your driver will pick you up from Senaru and escorting you back to your Hotel in Senggigi area or The Gili islands boat pier by late afternoon. 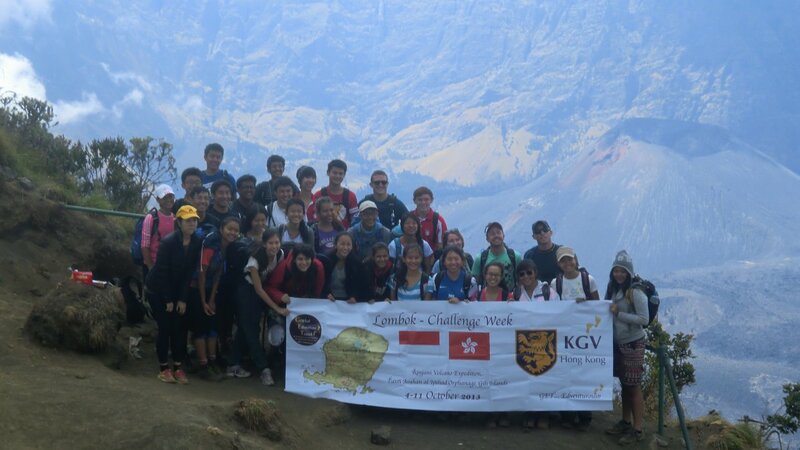 We have a great deal experiences in handling Rinjani Trekking for years with highly professional private services and having great positive feedback and impression from our customers.